Grey County Reads is a competition between the libraries of Grey Highlands, Hanover, Meaford, Owen Sound, Southgate, Town of Blue Mountains and West Grey. Each celebrity will defend one Canadian book over five published installments, covering plot, character, and theme analyses as well as introductory and summary arguments. They will be able to vote using an online voting system. When you visit South Grey News and vote you are entered in a draw for three gift certificate prizes courtesy of Speaking Volumes Books & Audio in Flesherton! Click the links above to place a hold on any one of these books. 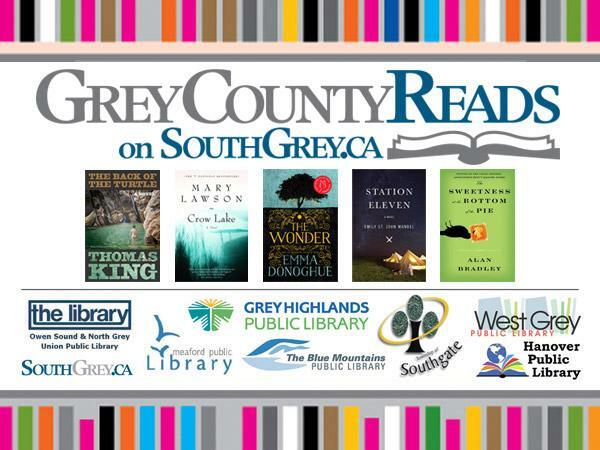 Read any or all of the Grey County Reads books and/or read each of the book synopses and celebrity installments posted on SouthGrey.ca between now and February 11.